Globalization is commonly understood, along with regionalization, as an economic phenomenon that hastened the decline of national economies through the creation of transnational spaces, the set up of regulations and economic policies across national boundaries and the mobility of production factors. Culturally speaking, it comes as a variable-geometry paradigm that brings ways of life and thoughts to standardize and especially which tends to consider cultural goods and services as economically profitable as typical commercial products. In response to this dynamic, France defends the concept of bcultural exceptionb, which seeks to maintain a non-commercial cadre for cultural production. However, globalization can also be understood as valorizing the recognition of cultural differences. The movement of artists and their work worldwide is an opportunity for them to share experience, enrich themselves mutually and renew their ideas. In that way, mobility becomes a key to the realization of cultural diversity. 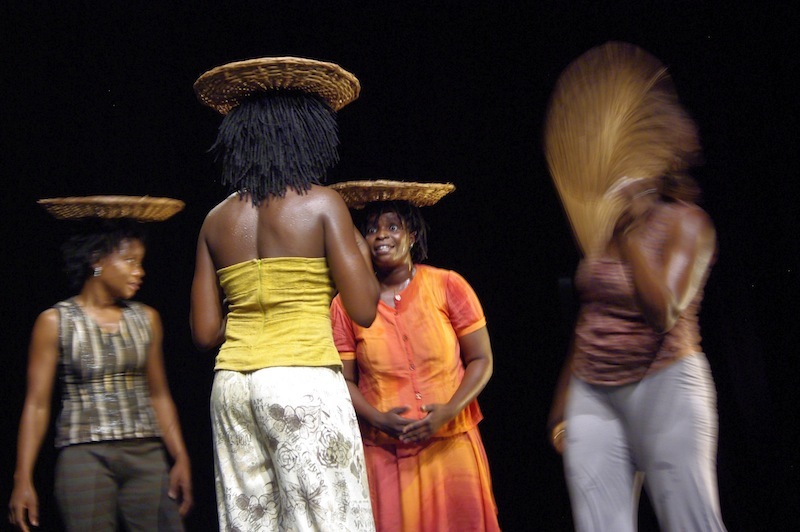 Dance show Traces choreographed by Auguste Ouédraogo and Bienvenue Bazié in 2006/2007. Picture by Nestor Da. Travelling is an imperative for artists as it provides them with the opportunity to present their work and therefore to develop their professional careers. Yet African artists face a blockage of their mobility because of increasingly harsh immigration policies on the part of Western countries. I would like to question here the political logics at work at the international and national levels that regulate the movement of goods and people in the broad sense of the term, the sometimes contradictory practices on the ground and the reflection both political leaders and civil society in Europe engaged in order to address the phenomenon. 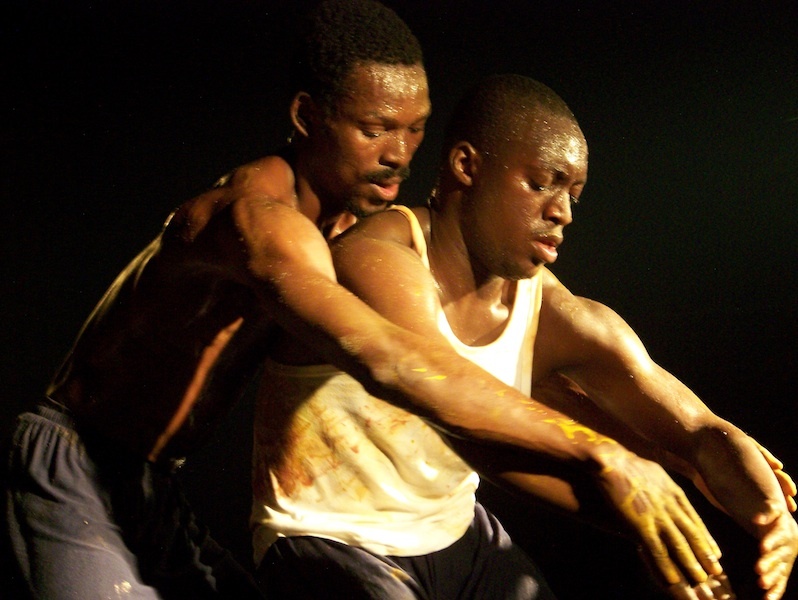 Dance show Dans Un SbY Mettre choreographed by Auguste Ouédraogo and Bienvenue Bazié in 2009/2010. Picture by Nestor Da. Despite the measures noted above, which exemplify a clear political intent to permit goods and people to travel easily, the practices at work, mainly in the artistic and cultural domain, constrict the mobility of African artists to a tight airlock. With the increase in power of migratory flows on the part of Africans who toy with the idea of making their fortune in the Western El Dorado, African artists are frequently treated as presumed illegal immigrants. This can be seen, for example, in French consulates where people asking for visas are reserved inhuman and humiliating treatments. While visa appointments considerably take time, visa requests are sometimes refused with no motivated reason and the experience has revealed many African artists who were forced to play their instruments or to dance before passing the border. The French cultural magazine Les Inrockuptibles qualifies this immigration policy as both ubuesque and Kafkaesque. Are there reasons to mix African artists with illegal immigrants? Eventually, it cannot be objected the will of political leaders to support the free movement of goods and people globally and regionally. Evidence is backed up by the international laws and mobility tools. [*]I would like to thank my friend Lila Ann M. Dodge for her invaluable contribution to this article. FRANCOIS BOUDA is Communication Assistant for Centre de Développement Chorégraphique La Termitière (CDé and Administrator for Compagnie Auguste-Bienvenue.